A wood hobbyist immerses himself or herself in a world of wood workmanship powered with the skilled use of tools. Which tools are used depends on the woodworking project. Wood hobbyists saw, plane, sand, shape, nail, assemble and finish temperate and exotic wood species to produce almost anything held in the imagination. A good working knowledge of both wood and tools makes for a world of woodworking fun. That said, any wood hobbyist can only have so many notches on a belt, only so much room, and only so much time to bring a woodworking dream to fruition. Throughout, choices must be made. Availability of wood. The cost of tools. The woodworking budget. These factors sharpen a hobbyist`s focus on what he needs to get the job done. Dimensional Measuring: No woodworking project is complete without extensive measurement: materials, space, edges, holes, etc. You name it, and the wood hobbyist must measure it at some point. Measuring tools: carpentry tri-square, miter square, dovetail, marking gauge and simple tape measure. Cutting: Although woodworker will generally purchase manufactured (pre-cut) wood, projects most often require more cutting. Woodshops contain saws of various types, but this does not need to intimidate first-timers to woodworking. Just make sure you have the appropriate saw for the job, and the appropriate knowledge for using it. Ventilation: Sawdust can be hard on the lungs, even in a small woodworking project. Retailers sell dust collection units, but wood hobbyists must be sure to supply the woodworking area with dust-free air. Just remember to set up the shop with adequate ventilation. Moisture Measurement: A priceless tool for the woodworker who is serious about a quality end result. Wood continually absorbs and releases moisture according to the conditions of the surrounding air. This balance depends on upon the relative humidity and temperature of the surrounding air. Moisture meters are used to read the wood`s moisture content (MC) at any time. 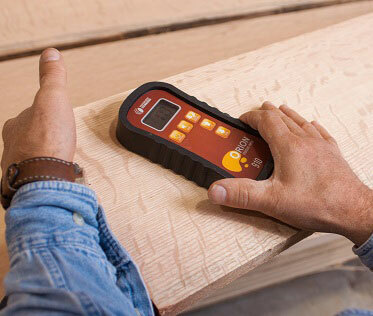 Hand-held pinless meters are now available, so woodworkers can easily and accurately track MC. 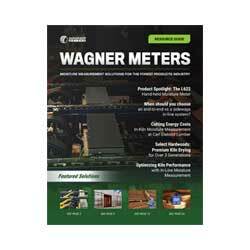 Wagner moisture meters are ideal for measuring MC in a wide range of wood species. Every meter can be programmed by the woodworker so that accurate moisture measurements can be taken for the different species they will be using. If MC changes enough, so does the very dimensions of wood. You don`t want inappropriate MC in your wood to ruin your project. This simple tool is an investment in any woodworking project. 5. Patience: A tool? Believe it!! For example, you must obviously need to wait long enough for the glue to dry. Additionally, successful woodworkers must monitor and adjust the relative humidity and temperature in the wood shop environment in order to ensure that the wood’s MC remains usually between 6 -8% depending upon the part of the world they live in. Fundamentals make great woodworking projects. Take care of that and have fun.